Off-the-shoulder dresses are an increasingly popular style for Prom and special occasion. This elegant silhouette offers an Old World Hollywood glam look that will make you stand out at your event. Off-the-shoulder dresses show off the neckline and shoulders while still remaining glamorous and sophisticated. This collection of dresses represents off-the-shoulder ball gowns, chiffon dresses, lace off the shoulder dresses and more. Look and feel your very best at your event in an off-the-shoulder from Golden Asp. 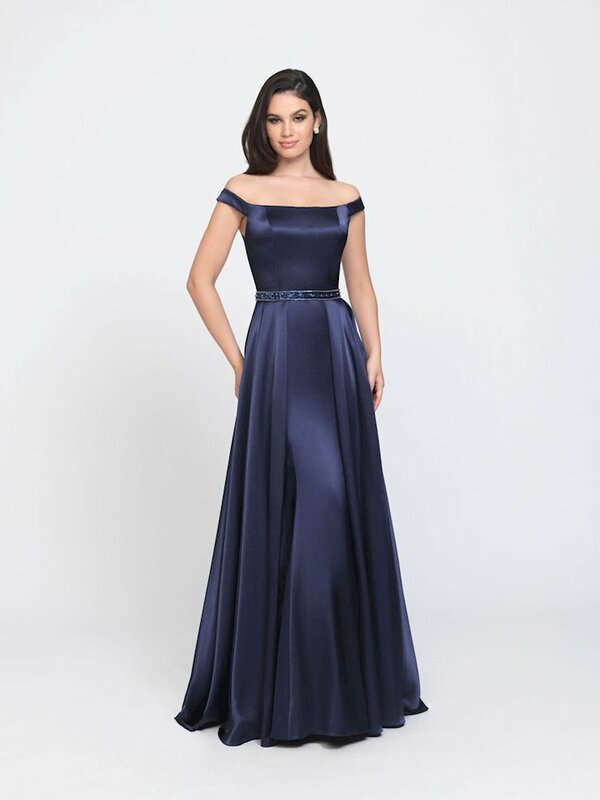 If you are looking for a gown for prom 2019 with a little added sultry flair, then an off the shoulder prom dress is perfect for you! This style is great for the girl looking to show off a little bit of skin, but not comfortable revealing too much – all while looking chic and sophisticated. Off the shoulder dresses can be found on mermaid shapes, ball gowns, a-lines and more. Not to mention, we have an endless number of color options in every style! We offer gowns in all different budgets, and have everything you need to make a red-carpet ready entrance for prom – including shoes, accessories and more! And, of course,Golden Asp is an Authorized Retailer and only sells Authentic Prom Dresses – so you can shop for prom with ease of mind!